Don't stub it out, just drop it in the Self Extinguishing Ashtray. 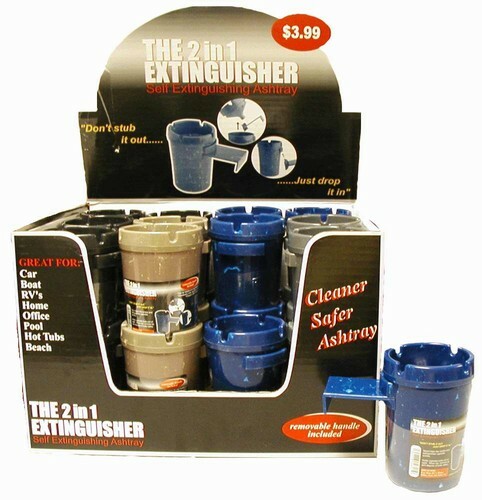 The Self Extinguishing Ashtray spout traps in the smoke and extinguishes the cigarette in seconds. Self Extinguishing Ashtray holds up to 20 cigarette butts out of sight. When full simply remove lid and dispose of butts safely. Can be placed on any flat surface or inside cup holder. Can also be attached to car window with the removable handle. Great for cars, boats, RVs, homes, office, pools, hot tubs and camping.